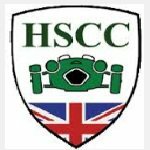 HSCC Engineering recruitment 2016-17 notification apply for 48 vacancies : HSCC India welcomes application for the position of 48 design engineering & project Mgt, Architecture / proj Mgt, executive assistant engineer, senior executive assistant and various vacancies. Candidates who completed their graduate in engineering, diploma , CA, ICWA, PG Diploma, MBA is a good opportunity.The individuals who are the occupation seekers searching for govt employments in Uttar Pradesh this is the best chance to apply. Competitors read the official notification then read all the guidelines and miners precisely then apply before the last date online application got. All the interested and eligible candidates can apply before 11th August 2016. Candidates Age Limit: The age of the candidate is 28 years. The age of the applicant should be as on 1st August 2016. Academic Qualification Details: Candidates should have graduate in civil engineering / architecture with minimum 60% marks from a recognized university / institute with extensive experience in civil structural design or CA / ICWA having relevant experience in finalization of balance sheet. Academic Qualification Details: Candidates should have graduate in civil engineering / electrical engineering / mechanical engineering / PH engineering / environmental engineering / computer science engineering / IT engineering / electronics and communication engineering / MCA / electronics and instrumentation engineering / bio- medical engineering with minimum 60% marks from a recognized university / institute / CA / ICWA / MBA or graduate with minimum 60% marks with post – graduate diploma in mass communication / corporation / journalism from a reputed / recognized university / institute with minimum 60% marks. Details of Fee particulars: All the interested and eligible candidates are need to pay Rs 500/- through demand draft favouring HSCC (India) limited, payable at Delhi / Noida. Schedule caste categories candidates / schedule tribe categories candidates/ person with disabilities categories candidates / internal categories candidates are exempted from payment of application fee. Process of applying for the job: Candidates may apply in prescribed application form along with all relevant certificates duly self – attested certificates send to the chief general manager HSCC limited, E-6(A), sctor-1, Noida, Uttar Pradesh:- 201301 on or before 11th August 2016. Important Dates: All the interested and eligible candidates can apply before 11th August 2016.